What is spiral plate technology? Our spiral plate technology is a simple but brilliant extension of high school physics. It enhances gravitational forces in a manner similar to traditional centrifuges, but minimizes the distance particles must travel before settling. It uses laminar flow rather than turbulent flow, or mixing, meaning even ultrafine particles are more easily captured. It also means we outperform other technologies. 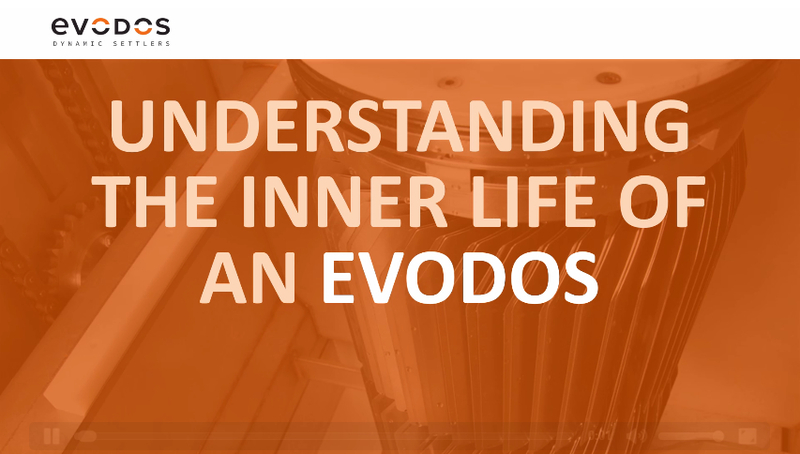 A dynamic settler is the practical application of Evodos’ spiral plate technology. Our settlers allow for mixtures to be pumped in and, using artificial gravity and spiral plate technology, separate materials just like nature would. Only we do it in mere minutes instead of nature’s decades.